In 2011 South Sudan won its independence from Sudan through an internationally recognized referendum. Two years later the governance crisis within the ruling party led the country to a civil war where thousands of lives were lost and millions displaced. This resulted to fragmentation of social fabrics, increased corruption, economic hardship and a growing culture of violence. Youth continue to be drawn into the civil war and in inciting inter-ethnic violence. In 1994, Mr John and his colleagues established ONAD, an organization dedicated to the cause of nonviolence. “I used to spread violence. I was a rebel fighter. But I know that people can change – because I have changed.” Mama Bougie, a former fighter in the Sudanese civil war, is now one of the coordinators of the “Alternatives to Violence” (AVP) project in Sudan. She and other trainers on the project have made a documentary film to explain how they deal with “transforming power” in their workshops, how they create space for a culture of non-violence and practise methods of non-violent conflict resolution on both personal and social levels. ONAD existed for 20 years (1994-2014) as a peacebuilding organization with track records in Sudan and South Sudan He says: “Humanitarian aid is important for our country. But it isn’t enough; we need to do everything we can to consolidate peace.” His contribution to this is the “training of trainers”, in which non-violent conflict management is taught, together with interfaith dialogues and courses on human rights. The organization over this period, connected cross sections of Sudanese and South Sudanese communities across social, ethnic, religious and political divides. The participants not only learned together but also took actions to transform injustice and build harmonious people’s centred peaceful relations. ONAD is co-chair of Pan African Nonviolence and Peacebuilding Network (PANPEN) a network of more than forty nonviolence and peacebuilding organizations across the region. 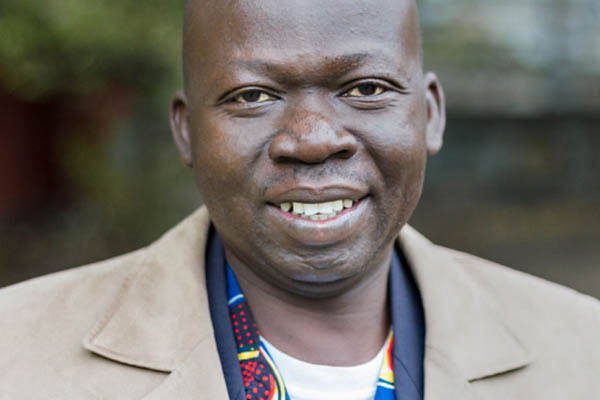 In South Sudan, the organization is part of “Citizens for Peace and Justice” network. The network has issued number of statements and called for immediate halting of violence, free access for humanitarian aid and involvement of the grassroots and civil society in the peace process. He said “ No peace for us without us”.